To become a police officer in the province, completing stage seven in the shuttle run is the minimum requirement. 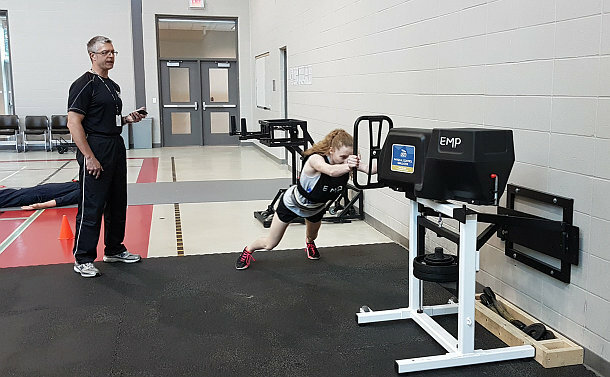 Runnymede Collegiate Institute Grade 10 student Jacob Silva reached Stage 12 in a fitness challenge with Western Technical Institute at the Toronto Police College on May 16. “He was exceptional,” said Constable Esmail Dhukai of the Employment Unit. Silva said playing hockey and other sports have enhanced his physical fitness. “I am in great shape and I had a lot of fun doing this,” he said. 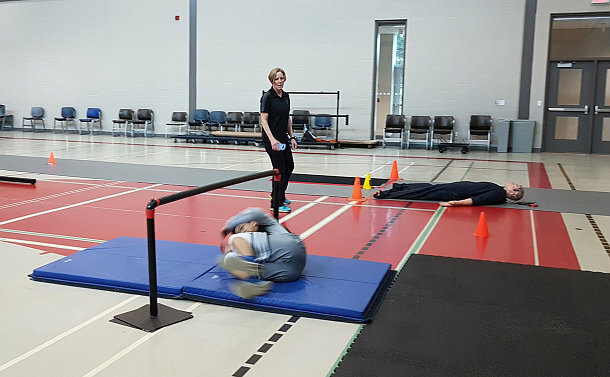 Students from the two schools were given exposure to some of the physical testing required to become cops by taking on the Physical Readiness Evaluation for Police (PREP) test that most Ontario police services require their applicants to pass. Employment Officers hold regular sessions that allow potential applicants to try out the PREP test to gauge if they’re up for the job. Alaya Handiak, a Grade 10 student at the same school, completed stage seven of the shuttle run. “I love anything that involves getting fit, so I was up for this challenge,” she said. Grade 12 student Brennan Stanfield said he was happy to see what the police had to go through before they got their badges. Constables Basil Fernandes and Laura Ball, School Resource Officers at 11 Division, organized the fitness challenge. Fernandes and Ball are assigned to seven high schools in their Division. A total of 10 students from Runnymede and Western Tech took part in the challenge for Grades nine to 12 students. Inspector Chris Boddy, second-in-command at 11 Division, thanked the students for accepting the opportunity to come to Toronto Police College to take part in the challenge.